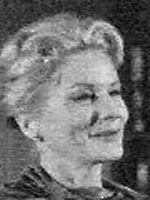 Joan Tompkins became well known for the radio role of Nora Drake. 10/09/1974 0158 Trapped A sick lady suspects her husband and caregiver are plotting to kill her. With the help of her previous nurse, she struggles to survive.